As e-commerce continues to grow at its rapid clip, supply chain and logistics changes and developments will continue. Customer expectations and competition from e-commerce are driving widespread changes to warehousing and distribution operations. Direct-to-consumer growth is not only affecting retailers, but also manufacturers, wholesalers, and 3PLs. Warehouses and warehouse fulfillment operations are increasingly playing a greater role in commerce due to disintermediation and a reduction in retail sales through stores. 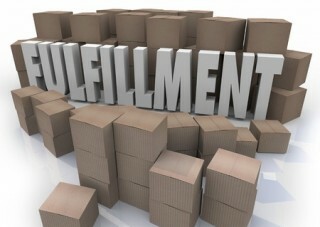 WHY OUTSOURCE SHIPPING TO A FULFILLMENT CENTER? It makes your business inalienably adaptable. As your business develops, you don’t need to stress over including new systems, stock controls and hardware. As your shipments expand, it’s just a question of expanding the stock at your 3PL providers location. Outsourcing decreases order fulfillment time. Generally, the companies that specialize in order fulfillment have warehouses located near major shipping hubs and ports. Subsequently, all shipments to clients regardless of where they live normally takes lest transit time. You can also expand your business to other nations. Making international shipments can be a hassle with the costs and paperwork involved. A company that provides third party logistic services will have the experience to handle your international shipping. By outsourcing your order fulfillment to a 3PL company, you no longer have to worry about anything other than sourcing your items from a supplier. Laney & Duke can provide an E-Commerce distribution solution for your business in Jacksonville, Florida. Give us a call to learn how we can help you maximize the efficiency of your operation. 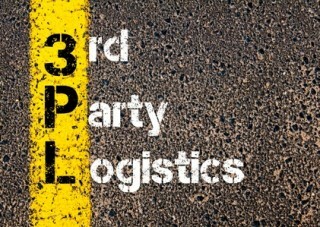 The road to Third-Party Logistics – It doesn’t matter what name you adopt from that trendy business management blog you follow, simply deploying a lean concept to drive your supply chain function is probably not enough… you also need flexibility. An agile approach to supply chain helps the team respond to the unpredictability of today’s business world and the individualized demands of customers. Lean identifies and eliminates waste, which is a very good thing. It reduces unnecessary costs, speeds deliveries, and brings everyone together in the constant search for improved efficiency. Anything that doesn’t add value to the supply chain function is out the door at a lean and agile operation. But when the company combines agile with lean, it adds reassurance for customers that the supply chain can adapt and handle new products and deliveries with speed and flexibility. That’s an improved service that customers will appreciate and pay a premium to acquire. Now, it’s time to work with a third-party logistics provider. The good news for your business lies in the fact that you know your customer, when and where they expect delivery and how much all of this should cost. Take that knowledge into the meeting with a potential third-party logistics partner to get customized services. 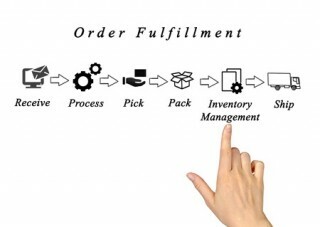 Our customized fulfillment logistics allow you the complete outsourcing of your product management. It is our goal as a logistics service provider to combine all related logistics functions along the supply chain of our customers in an efficient and cost-effective manner. Laney & Duke offers over 1,000,000 sq. ft. of outstanding product warehousing in Jacksonville, FL for distribution services, coupled with our amazing warehouse management. Why spend your capital and invest in unwanted assets to create your own distribution center? Laney & Duke offer those distribution services for you complete with qualified employees and management to make sure your company runs smoothly. Laney & Duke is unique because we cater to each individual client separately and address their own particular needs as such. We do not quote the same rates for each account and always are flexible to your needs, especially smaller companies trying to begin and grow their business. How your product arrives at our facility. Storage needs in the facility. Potential necessity for pick & pack, cross-docking, order fulfillment and/or kitting. In 1929 the logistics business was much less complicated, but for over eighty years Laney & Duke has been fulfilling the warehousing, distribution, order fulfillment, and transportation needs of some of the world’s most successful companies. Patricia Doles is our office manager and responsible for setting up each new account we acquire, and ensuring that everything goes exactly as planned. She calls and introduces herself to each customer. She is responsible for entering their inventory into our WMS system to ensure that our inventory records mirror what we receive and what the customer says we should have on hand. Patricia also oversees all office personnel and assists in training then. Patricia is also responsible for processing the monthly billing and addresses any discrepancies we may encounter. Patricia is also the primary CSR for each account regarding any questions or special requests customers have; there are plenty. Patricia began with L & D on May 9, 1988 and is absolutely crucial to the success of our operation. If I had 5 clones of Patricia, we would never have any issues. EDI replaces postal mail, fax and email. While email is also an electronic approach, the documents exchanged via email must still be handled by people rather than computers. Having people involved slows down the processing of the documents and also introduces errors. 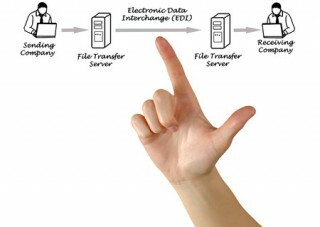 Instead, EDI documents can flow straight through to the appropriate application on the receiver’s computer (e.g., the Order Management System) and processing can begin immediately. While many companies leverage EDI to comply with trading partner requirements, few take advantage of EDI to drive operational excellence. Limiting EDI use to fundamental transactions, such as purchase orders and invoices, leaves money on the table and misses an opportunity to strengthen customer service and overall competitiveness. Companies achieve the greatest operational excellence gains by expanding EDI across a broad spectrum of transactions and integrating it with a warehouse management system to create visibility through the supply chain. Enhanced visibility. EDI can enable a sharper understanding of your supply chain to reduce inventory carrying costs. You can stock only what you need. Reduced labor costs. Companies using EDI for advanced shipping notices (ASNs) can save up to 40 percent of labor costs associated with inbound processing. Minimized freight costs. Using EDI in concert with a transportation management system can minimize transport expenses while maintaining high service levels through load consolidation and mode selection. Improved customer service. Customers, suppliers, and regulators benefit from the seamless flow of critical business information among partners. Laney Duke provides apparel solutions for apparel manufacturers/designers, wholesalers and retailers, ranging from small specialty boutique companies to large global corporations, thereby supporting low, medium, and high volume distribution requirements. These solutions are engineered to accommodate the specific application needs of the apparel warehousing and distribution environment, such as configurations for multi-channel or dedicated e-commerce and retail store fulfilment systems, seasonal/promotional peaks, slow moving inventory, and returns processing. Typical solutions are designed to optimize the processes involved with receiving, storage, replenishment, case and item picking, consolidation, packing, truck loading, and cross-docking, along with the ability to handle a variety of load types: cartons, totes, poly bags, and garment-on-hanger. The apparel solutions we provide our clothing accounts are 100% pick and pack and growing every season. They have increased their number of skus, internet and store orders, and volume. We also handle a large volume of returns from these customers which requires inspecting the returns and determining if the item is still saleable or otherwise. These customers also require special labeling, stickering, hangering, or bagging according to the customer’s requests. All of these special services are priced separately depending on the customer, flexibility and service is our primary marketing tool. We have the software and technology allowing us to ship Amazon Prime orders with next day service. This is a great marketing tool for our customers. 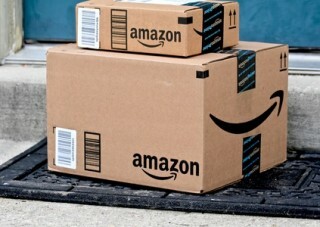 We have the ability to handle Amazon’s requests and timely delivery schedules. There are many reasons to sell on Amazon – from the hundreds of millions of Amazon customers who can see your products to the ability to start selling fast without the need to create a new standalone website. Laney & Duke is unique because we cater to each individual client separately and address their own particular needs as such. Depending on how their product arrives at our facility, how their product can be stored, what each outbound order looks like, the volume of their business, and what special requirements each of their customer requests determines what their rates will look like. We do not quote the same rates for each account, and always are flexible to their needs; especially smaller companies trying to begin and grow their business. HOW CAN OUR DISTRIBUTION CENTER HELP? That’s where we step in. Laney & Duke offers over 1,000,000 sq. ft. of outstanding product warehousing in Jacksonville, FL for distribution services, coupled with our amazing warehouse management. Why spend your capital and invest in unwanted assets to create your own distribution center? Laney & Duke offer those distribution services for you complete with qualified employees and management to make sure your company runs smoothly. We operate several distribution centers in Jacksonville, FL for very notable and successful companies, and we’re just waiting to start working for yours. Let us prove to you that we can run your facility not only cost effectively, but dependably as well. Our purpose is to provide a total distribution service tailored to the marketing needs of our customers, in a company environment which gives our customers and our people an opportunity for personal growth and satisfaction. First of all we would be delighted if you are considering choosing Laney & Duke as your 3PL logistics service partner. We certainly appreciate the opportunity and are committed to implementing a solution that is tailored to your specific needs. Our goal is to work closely with you, to understand your logistic objectives, and to collectively engage in increasing your company’s bottom-line. Having been in business since 1929, our continued improvement and operational excellence has allowed us to significantly reduce logistics cost, while at the same time providing exceptional customer service. We have also realized that one of the key factors of success is the ability to integrate and customize our solutions into a coherent and seamless solution the benefits our customer’s customers. Laney and Duke operates nearly 1,500,000 square feet of distribution facilities and employs over 200 people in the state of Florida. We offer a wide-range of value added services including transportation, fulfillment, and contract packaging. 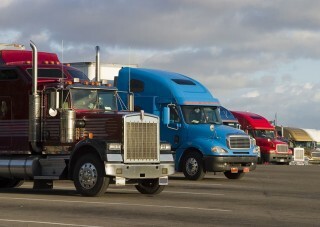 we also have a trucking subsidiary, Land Trucking Company, which provides delivery service within the metropolitan areas of Jacksonville and Tampa. For eighty year plus years Laney & Duke has warehousing distribution services; We have been fulfilling the warehousing, distribution, order fulfillment and transportation needs of some the world’s most successful companies. In 1929 the logistics business was much less complicated. We started with a handful of people in one building with simple tools, before the invention of forklifts and pallets. It was during the Great Depression which made for a rocky start, but we were committed and we prevailed. Throughout the years the industry has changed enormously, and we’ve grown with it. When times get tough or you have a serious issue that needs to be addressed, you will more than likely turn to a friend. That’s what you will get from Laney & Duke — a good relationship with someone you can count on to help with any situation. 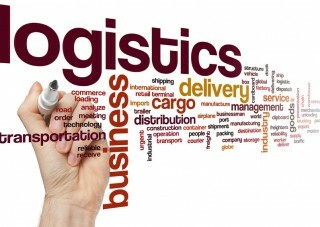 WHY CONSIDER A JACKSONVILLE LOGISTICS COMPANY? As business keep on developing at a fast clasp, inventory logistics and coordination changes and advancements will proceed. Client desires and rivalry from expanding businesses are driving far reaching changes to warehousing and logistics operations. Direct-to-purchaser development is influencing retailers, as well as makers, wholesalers, and 3PLs. Jacksonville logistics and distribution centers are progressively assuming a more prominent part in trade because of disintermediation and a diminishment in direct sales through retail stores. On top of that, the relationship amongst retailers and upstream accomplices is changing, as wholesalers have expanded their nearness in retail and retailers have pushed direct-to customer obligations back onto their providers. Thus, distribution center logistics centers are expanding, responsiveness and flexibility have turned out to be more critical as package shipping has developed, and work effectiveness stays as imperative as ever. WHY OUTSOURCE TO A JACKSONVILLE LOGISTICS COMPANY LIKE LANEY & DUKE? It makes your business inalienably adaptable. As your business develops, you don’t need to stress over including new systems, stock controls and hardware. As your shipments expand, it’s just a question of expanding the stock at your Jacksonville logistics 3PL provider’s location. When you outsource inventory and your product fulfillment operations it allows time for you to focus on advertising and developing your business, instead of worrying about logistics. Keeping up and sorting out your own stock can be a major pain and take up a critical bit of your time. By permitting a 3PL logistics company to assume control, you can center your endeavors on enhancing your business. Also because we are a Jacksonville logistics company located near major transportation hubs, like JAXPORT, you can expand your business to other nations. Making international shipments can be a hassle with the costs and paperwork involved. A company that provides third party logistic services will have the experience to handle your international shipping. By outsourcing your order fulfillment to a 3PL logistics company, you no longer have to worry about anything other than sourcing your items from a supplier. Laney & Duke, located in Jacksonville Florida, can provide a logistics solution for your business. Give us a call to learn how we can help you maximize the efficiency of your operation.